Here’s the second recipe in our series of chia seed puddings which are perfect for babies (over 6 months), toddlers and big kids too! Based on a classic peach melba, it’s perfect for summer months when peaches and raspberries are plentiful. 100 million times better than a processed kids’ dessert, it’s also got the thumbs up from Abby, our registered dietitian. With no added sugar and vitamins and minerals galore, you'll want to try this with your fussy eater too. 2) Mash banana and raspberries and mix with coconut milk and chia seeds. 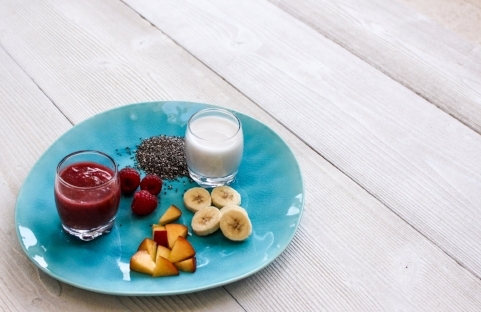 Chia seed recipes are everywhere - but are they suitable for your baby / toddler? And what does this weird frogspawn like superfood taste like? Chia originates from Mexico, where the seeds were highly prized for medicinal and nutritional properties, and even used as currency. Left to soak for a few hours, the small seeds absorb water, milk and other liquids and have little flavour of their own. The soaking process is particularly important for young children as it means they are easily digested. They are nutritionally rich in omega 3 and protein as well as a mix of vitamins and minerals, making them a perfect healthy pudding for your little ones. Over the next three weeks, we’ll be posting three of our favourite chai seed weaning recipes, which are also perfect for toddlers, older children and adults alike. Note from Abby Ixer, Registered Dietitian. Our first featured recipe (which we bet will be a hit with parents too) is Chocolate Chia Pudding, a rich creamy chocolate pud, sweetened with prune and vanilla extract. 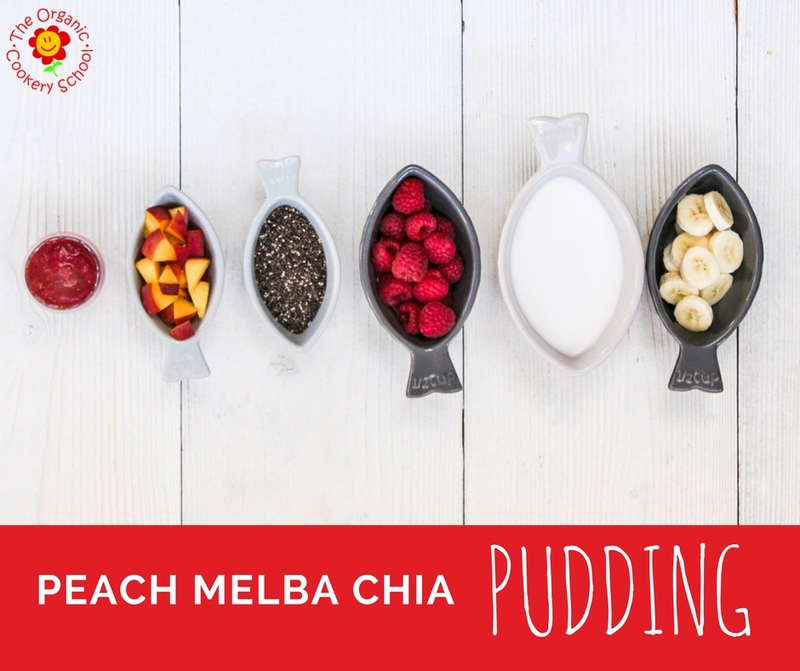 Next week, we'll be sharing a coconutty Pina Cola Chia Pudding and finally a summery Peach Melba Chia Pudding Recipe. So we’re cheating here - this recipe isn’t just for babies and toddlers and we give you and your older kids full permission to enjoy this as much as your little people. However, that said, it is a perfect weaning recipe and full of protein, omega 3 and dietary fibre. Suitable from 6 months plus - there can’t be many puddings which pack as much goodness and flavour in. With no added sugar and plenty of vitamins and minerals, you'll want to try this with your fussy eater too. This is the first of three chia seed pudding recipes we’ve developed for our Cooking for Baby parents. Enjoy! 1) Finely chop or blend soaked prunes to a puree. 2) Mash banana and mix with prunes, coconut milk, cocoa/cacao, vanilla extract and chai seeds. This chocolate flavoured pudding may sound indulgent, but has a healthy twist. The sweet coconut milk complements the fibre packed prunes – great for ensuring a healthy gut and preventing constipation. Omega 3 is essential for young children to support brain development and good heart health, and is found in abundance in chia seeds.